Eye injuries in kids, caused by participating in sports or recreational activities, is a major cause of visits to the emergency room. 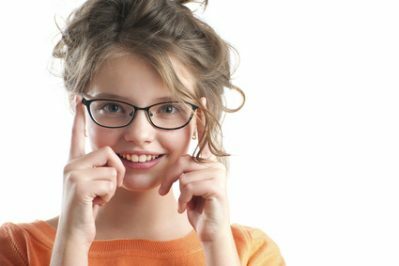 Injuries to young eyes can cause lasting effects to your child’s vision. Dr. Mark Roy of Oakland Optometry in Rochester Hills encourages all parents to schedule a comprehensive vision exam before their child starts any new involvement in sports activity. Dr. Roy emphasizes increased prevention efforts are needed by parents, schools and coaches to minimize sports-related eye injuries. Eye protective sports equipment is readily available to decrease sports-related eye injuries among children. A recent study published in the January 2018 issue of Pediatrics indicates that approximately 442,000 kids are treated in emergency rooms for eye injuries. For kids that are participating in sports, these injuries included corneal abrasions, conjunctivitis, and a foreign object in the eye. While your child can injure their eye doing many different things, the most frequent sports related eye injuries occur in basketball, baseball and softball, swimming, and non-powder guns. Eye injuries can be painful and can cause irreparable damage to your child’s eyes, so making sure they have the right vision protection during athletic activities is critical. As a parent, your first task to preventing eye injuries in your child is to bring them in for an annual comprehensive eye exam. Finding an optometrist like Dr. Mark Roy of Oakland Optometry is your best option, because he not only provides superior vision services and medical treatment for his patients, but we also are a Protective Sports Eyewear Performance Center. We have experts on hand that can take the results of your child’s eye exam and, knowing the sports that your child participates in, find the right performance eyewear for your child. Even if your child isn’t participating in organized sports, their eyes can be injured by things like paintballs and NERF guns (non-powder guns). It’s a good idea to make sure that if nothing else, your child wears safety glasses when they are using these sorts of recreational equipment. What Does Your Eye Care Professional Do? We want your child to be safe, no matter what activity they are participating in, so we make sure to have all the answers before we send you on your way. During your child’s annual vision exam, Dr. Roy will ask what sports they participate in, and suggest eyewear that is appropriate for your child and their activity. If your child needs corrective lenses, Dr. Roy and the optical team at Oakland Optometry can help you find the right eyewear and Rx solutions for your child, to help them see well and participate safely in their sport of choice. My Child Needs a Comprehensive Eye Exam in Rochester Hills! ⇐ What happens if you have Glaucoma?